DEVELOPED by I.I.T. Delhi alumni. 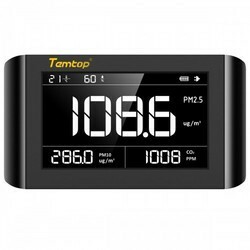 RAPM2510 is an extremely affordable and highly accurate air quality monitor that is designed for Indian conditions which can be extremely dusty and polluted. It helps you to be aware about the quality of the air that you breathe. - Improper or inadequately maintained heating and ventilation system. - Contamination by construction materials, fibreglass, particle boards, paints, etc. In indoor air Quality Measurement process mainly temperature, humidity and airflow (HVAC) are the comfort parameters. 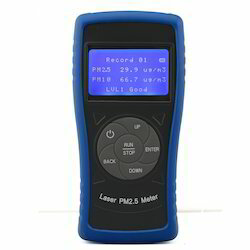 For proper environmental air quality monitoring Radon, CO2, Dust (Respirable suspended particulate matter RSPM – PM10 and PM2.5), Volatile organic compounds (VOC) and Ozone needs to be monitor. We make Air Quality equipment, which help in monitoring the indoor as well as outdoor environment. We are the leading supplier of Indoor Air Quality Monitor.